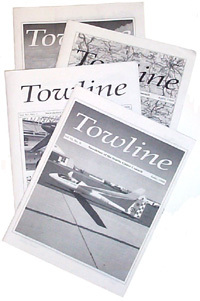 TOWLINE has been the official newsletter of the Seattle Glider Council for many years starting in the 1950's. It was published several times per year and carried minutes of the SGC Board, feature articles, artwork, photos and classified advertisements.The files in this archive chronicle the long history of the SGC. The current TOWLINE is intended to be a web based periodic publication to provide information as needed to the membership. Soaring Magazine April 1969 Issue Re Cecil Craig's 1967 Wave Flight Down the Cascade Range.